Like the day which saw an altar inscribed with the words, “To the unknown god” (Acts 17:23), there is today much confusion about the one true God. While an increasingly diverse religious landscape takes shape across North America, areas more visibly closed to the traditional Christian church demand our attention—not because cultural Christianity is on the decline, but because some methods of ministry may no longer be effective. The contrast may be greater for those who grew up in, but no longer live in, parts of the country where a traditional form of Christianity is still reflected in the culture. When Mike Hooven left Indianapolis, Indiana, to pastor a church in the greater Denver, Colorado, area, he encountered a culture characterized by widespread “religion” and “spirituality,” but with less widespread signs of Jesus. 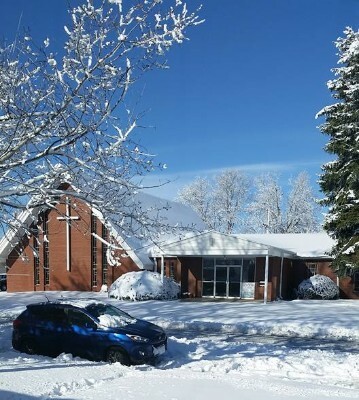 A wintry Cloverdale Church of God. Mike’s background in church planting led him to work under the visionary leadership of Ryan Carrell, founding pastor of the Church of God congregation known as The Southeast Project in Indianapolis. Mike describes his call to The Southeast Project as one purposed to “lift up Ryan’s arms and be there for him.” But, while in ministry with Ryan, something else began to happen. Mike had been a part of other denominations, but his exposure to the Church of God while at The Southeast Project led him to embrace the Movement. 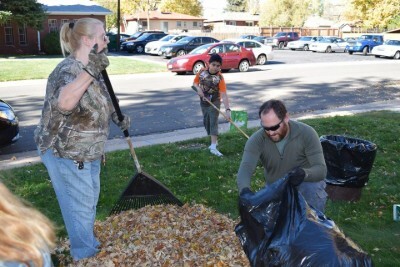 When the divine call led Mike to Colorado, he chose to stay with the Church of God. Among Cloverdale’s outreach methods, including movie nights, elementary school involvement, work with a local ministry that paints homes of low-income or disabled residents, are their annual Santa’s Workshop and their partnership with an adult special needs program. 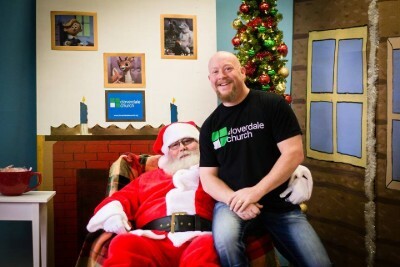 Pastor Mike & Santa ready to welcome families to Santa’s Workshop! Santa’s Workshop gets lots of people in the door of their church, despite the church being tucked away in a neighborhood. It attracts families—and that’s vital to an established church that wants to see turnaround in post-Christian culture. Children sit on Santa’s lap and families are given portraits of the experience at no cost. Additionally, children are given the opportunity to make a craft as a gift for their parents or select from donated items to give someone as a gift. The first year they tried this event, ten inches of snow fell, and the temperature had dipped to zero that morning. Still, two hundred kids showed up! Then there’s the case of Rocky Mountain Independence, a group that works with special needs adults. They were looking for a community gathering place, especially on days of bad weather. Mike explains, “We have space here at the church that is just sitting there empty during the week. I met with them and it just seemed like the right thing to do. Now they meet here at least once a week.” Stewardship of existing property—another way to revitalize an established ministry! In Colorado, across North America, and around the world, the Church of God is taking back what hell has stolen. Join the movement. Give life. Donate today at give.jesusisthesubject.org. This entry was posted in All Church of God, Western and tagged apologetics, Christmas, Cloverdale Church of God, CO, Colorado, culture, evangelism, gospel, holiday, Jesus Is the Subject, Lakewood, Mike Hooven, movies, outreach, pop culture, post-Christian, postmodern, religions, Santa's Workshop, service project, spirituality, unitarian, universalism, West. Bookmark the permalink.